Today, democracy is often taken for granted. We like to have our voices heard, talk openly about our concerns and demands, express and defend our opinion, and participate in the decision-making. Every day, we make a million of choices and decisions: from the very small such as what to wear, to the very big like what profession to pursue or who should govern our country. However, where did we learn this? Are they our very own independent and informed decisions, or are they often made for us by someone else – parents, teachers, politicians, celebrities? Are they based purely on our own experiences, or experiences of others? If democracy and participation can be taught, how do we teach it? And when shall we start? A German example on teaching democracy from an early age is St. Jakob Kinderhaus, on the outskirts of Munich. There care is provided to babies, pre-schoolers and school-age children. Munich District Manager, Gabriele Stark-Angermeier, kindly shows us around during a visit. “The youngest child attending the kindergarten is 7 months old”, she says. We observe one child sleeping, some playing on the floor, others outside jumping and screaming. 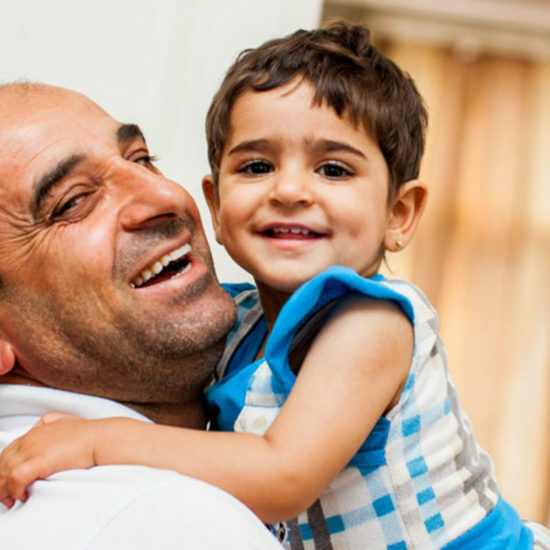 No child is forced to eat, sleep or play if he/she does not wish to. As toddlers, our demands are limited to having sufficient nourishment, sleep and emotional contact with our parents. Then we start discovering the world and ourselves: what we like or dislike, what we can and cannot do, what we are good and not so good at, and so on. This early learning is vital for our future, and the teaching of democracy starts here. We proceed to the premises for the older children (3-6 years old and 6-17 years old), where an “open working” approach is applied. The rooms are organised with the primary and most important individual in mind – the child – and have everything they need, from furniture items to many different toys and art and craft materials (paints, pencils, paper, fabric, etc.). Each child is doing something different – a girl is attaching stars to paper, two boys are watching her, three girls are having “high tea” at another table dressed as princesses, another girl is walking up and down the room in very much oversized heels. Everyone seems to be having fun. In another room, children are helping themselves to lunch, in another – some are preparing dough and cutting out stars that are to become their biscuits, others are just waiting for the biscuits. Some children have decided they prefer to play outdoors – jump on a trampoline, climb or run around. There is just so much choice! Watching them being so free, independent and confident is remarkable. A girl asks us who we are and where we are from, and when she finds out we are from Ukraine, screams with excitement: “My mum is from Poland, I can speak Polish”. All of a sudden, we are surrounded by a bunch of curiosity. We make our way to the sports hall, and the girls follow us, leaving whatever they were doing behind. They show us their skills in gymnastics and dancing. In the main hall, children are dancing and screaming, some teenagers are sitting around together discussing important things, some are reading on a sofa or the floor in a quiet corner. The only thing they cannot avoid, unfortunately, is doing homework. But even then, children can organise their space as they wish – sit alone or together with everybody, and leave once homework is done. Girls and boys have the exact same choices. Pedagogues are available in all rooms/areas where children can be situated, and their role is to look after, protect and support children in whatever they choose to do. “Staff can only advise”, Gabriele notes, “but never impose anything on children”. This is also taught to parents. We teach parents to advise their children and not to make the decisions instead of them. Barbara, coordinator at the Family centre of the Munich District. 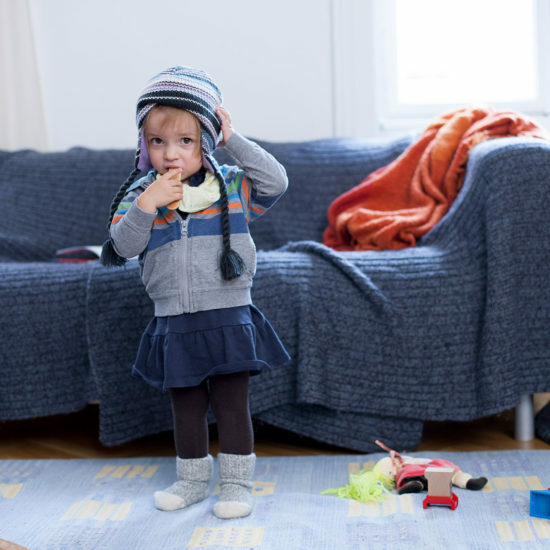 Even at the very basic level – dressing and feeding children – parents often make mistakes. Instead of forcing a child to wear a hat or a jacket, parents should advise or give information that the child may be cold, and that it is better to wear a hat or a jacket. However, it is important to let the child decide for himself. “If the child refuses, we wait until he does get cold and asks for the hat himself, then we put it on”, Barbara says, “We experiment with them”. She gives another interesting example of eating pasta for a week, and also chocolate. “Children wanted pasta every day and so we gave it to them. Until they said they were fed up with it, so we gave them something else”, laughs Gabriele, “they were also fed up with eating chocolate for a week, so they stopped asking for it”. What children have for lunch is also decided by them in a democratic way, through voting. It is that simple. Letting children experience things for themselves, discover the world around them and themselves, participate in the decision-making is crucial for their development. We say goodbye and proceed on our journey, and I cannot stop thinking. What I just saw has inspired me. The teaching of democracy and participation from the young age will make children more independent as adults and empower them to make informed and conscious choices about every single aspect of their life – what they want to do and who they want to become, in which country they want to live and if they want to get married and have a family. The list goes on. They may ask for advice from others, but the decision will always be only theirs. Since this is the way they have been taught. I make parallels with Ukraine, where, given the history of socialist rule, children are discouraged from the decision-making as they are “too young to make decisions” and their parents and teachers certainly “know better”. However, these decisions are based on the experiences of parents and teachers, not children. During the USSR years, the childhood was dictated by the state and the future of children was pretty much pre-determined – girls are to become sewers, educators or just housewives, and boys are to become largely engineers or mechanics (and if you are unfortunate enough to be born with disabilities, you would stay at home for the rest of your life). While almost all children attended extra-curricular activities free-of-charge (which is a good thing), there were clearly defined gender roles – ballet, gymnastics and painting for girls, and football or chess for boys. Boys who would want to become ballet dancers or painters would be seen as having the “wrong sexual orientation” and laughed at. You had to follow the stereotypes. You were not allowed to ask “too many questions” or question things in general, or disagree with parents or teachers, otherwise you would be labelled a “rebel” who needs to be punished. Punishments often took place at home as violent discipline. The notions of the freedom of choice, democracy and participation were either unheard of or something of the “spoilt Western world”. Today, while an echo of the past still remains, Ukraine is being reborn as an independent state striving towards Western values, including democracy. Many new approaches to working with children are being “borrowed” from abroad, adapted and applied in Ukraine. Better access to information empowers children and young people to make their own independent choices. These young people are changing, and they are likely to adopt a different approach to parenthood, a more democratic approach. The teaching of democracy and participation is not a subject, and children are often unaware that they are taught this. It is that seamless basis, the foundation hiding beneath the ground that ensures the house stands firm. It is the prerequisite for all learning and development, and for success, however individually defined. And even if building this foundation may take a generation, it is worth starting today to raise a more aware, informed, conscious and independent society tomorrow.